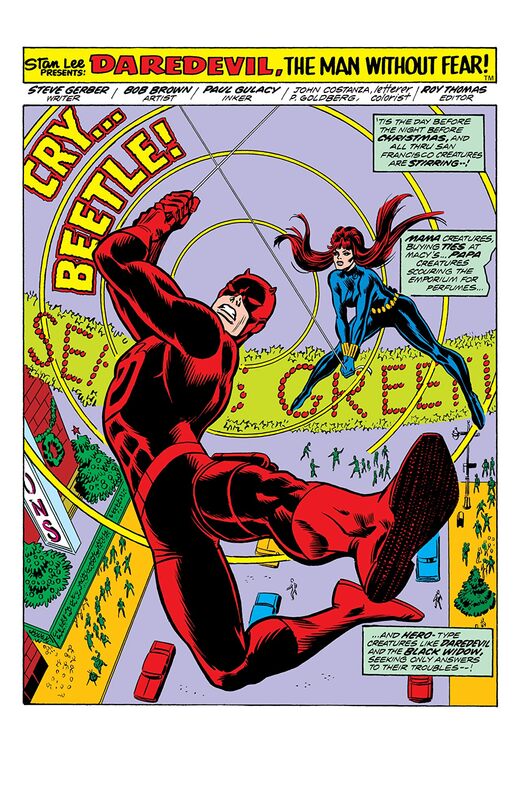 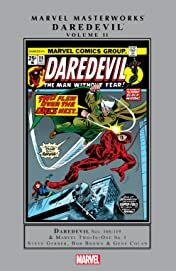 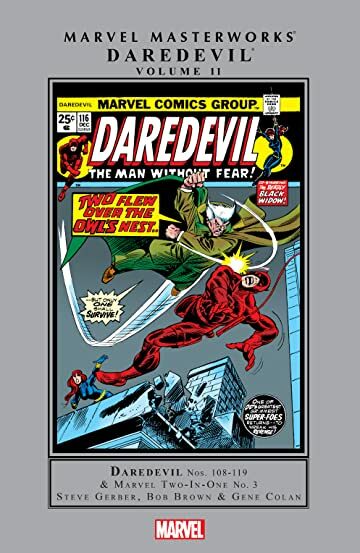 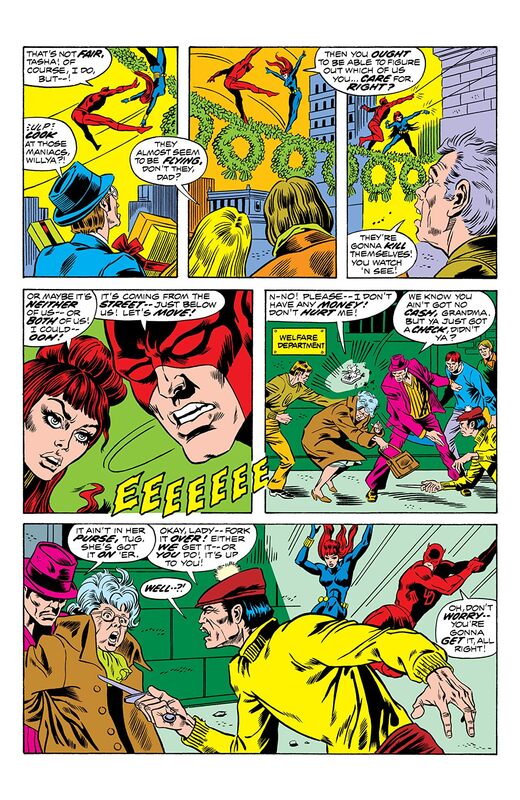 Collects Daredevil (1964) #108-119, Marvel Two-In-One (1974) #3. 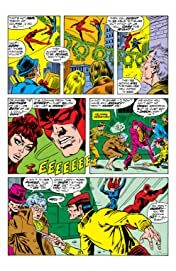 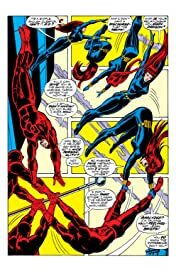 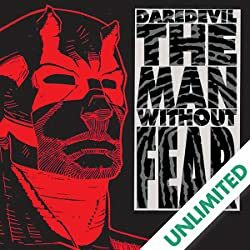 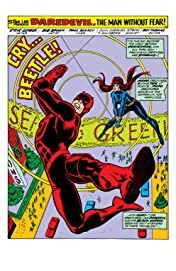 Daredevil teams up with not one but two stunning women of Marvel when Black Widow and Shanna the She-Devil join the battle against Black Spectre! 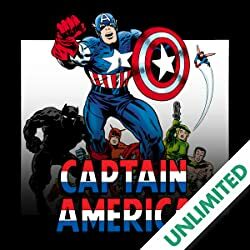 Together, the three heroes must uncover the secret leaders of an organization bent on bringing the United States to its knees. 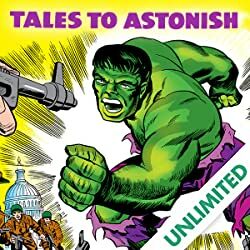 It's a massive saga that will pull in heroes from across the Marvel Universe, including Moondragon and the ever-lovin' blue-eyed Thing — culminating in a battle royale on the White House lawn! Classic villains like Gladiator and Owl abound, and new enemies emerge when Death-Stalker hatches a plan that brings Man-Thing into the fray! 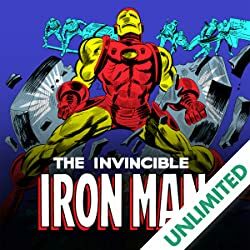 Add in a return to Fogwell's Gym, where it all began, and what we have in store are true Marvel Masterworks!